Sony launches PlayLink app for PS4, turns your smartphone or tablet into a versatile controller. 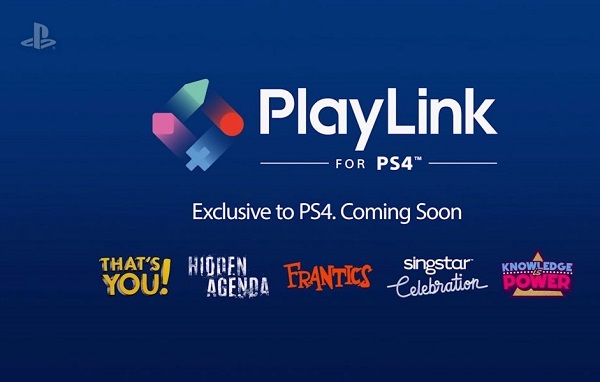 Sony has today introduced PlayLink for PS4 - an exciting new way to play games with family and friends. PlayLink combines your smartphone or tablet device, TV and PS4 console, with a collection of brand new games that take advantage of the smartphone or tablet device's touchscreen and camera capabilities. Exclusive to PlayStation 4, PlayLink titles are designed to be played in a group setting, allowing for a truly fun and dynamic experience. The collection of PlayLink games vary from gritty crime thrillers to quick-fire quizzes. If you have a smartphone or tablet, and your PS4 hooked up to a TV, you're already set. PlayLink games turn your smartphone or tablet into a versatile controller - you can swipe, pinch, drag, tilt, rotate or even snap selfies and draw crafty doodles, depending on the game. No matter which title you choose from our PlayLink collection, it's guaranteed to be a slick pick-up-and-play experience. Sony kicking off the PlayLink range with a fun title called That's You! It's an audacious comedy quiz which challenges you and up to five friends to get personal and find out what you really think about each other. Featuring over 1,000 varied questions, reveal your daring side by taking part in doodle challenges and snapping selfies. In celebration of PlayLink's launch, PlayStation Plus members will be able to access the full version of That's You! at no additional cost from 4th July. Non PS Plus members can purchase the game from 5th July on PlayStation Store or at retail for €19.99 RRP.